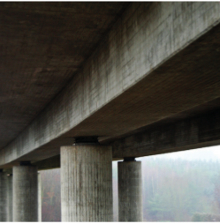 High-strength pure Portland cement for concretes requiring the highest strengths and a fast form removal or load of the structure, also suitable for concreting in cool weather. 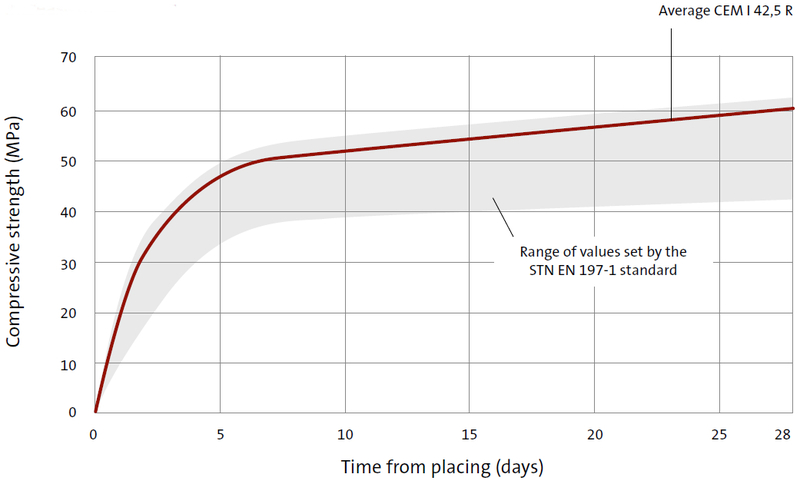 CEM I 42,5 R is characterized by a rapid increase in strengths, attaining high early and final strengths (after 2 days in the range of 29 to 36 MPa, after 28 days from 57 to 62 MPa). During hardening, this manifests itself by a high development of heat of hydration. The content of tricalcium aluminate in this cement is less than 5%.